Pest management services offer a great way to stay ahead of pests and keep them away from your home or business. 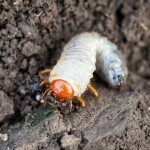 But between treatments, there are things you can do to help keep pests away. Bugs and pests can enter a building in many different areas, from tiny little cracks to opening for pipes or wires. Identifying and plugging these openings takes a lot of time and effort, but the results are well worth it. You’ll notice a drastic reduction in pests inside your building or home. But don’t let all this work go to waste by ignoring the obvious openings. For example, what good is plugging up every single point of entry when you keep your window open all night and don’t use screens? Or you keep a garage door open all day? Doing these things can effectively wipe out much of the effort and progress made during the prior pest treatment. Many bugs will enter or make contact with a building by climbing over a tree branch or shrub that touches or overhangs the building. Instead of having to climb down a tree and struggle across a lawn, a bug can just walk on a branch that touches a wall or sits just above your roof and easily get to your home or business. So keep those shrubs and trees branches trimmed to reduce the opportunity for pests to enter the building. Bugs enjoy taking shelter in mulch and pine straw. By keeping those landscaping features close to your dwelling or office, you encourage pests to come closer than they otherwise would. So don’t let these materials touch your building and replace them with alternative substances when possible, such as stone. This is one of the most important things you can do between treatments to avoid infestations. Bugs don’t wake up one day and think to themselves that they want to randomly head over to your home or office. Instead, they sense that your building contains something they want, usually food. This means that you need to keep the inside as clean and free of grime and exposed food as possible. If you have a trash can filled with honey-covered napkins, empty that trash can and take out the trash as soon as possible. Spilled some fruit juice on the counter when pouring yourself a drink? Wipe up the juice and do a final swipe with a damp cloth. Essentially, don’t leave anything out that might attract bugs. It might be convenient to have the trash cans in the garage or up against the outside wall, but it can make it easier to have unwanted pests inside your building. Bugs may have never noticed your building as an inviting target with plenty of yummy food scraps until they first noticed the trash can filled with food waste. Only then did they sense there was an even larger source of food close by, and crawled into your home or office through the crack between the window and wall. 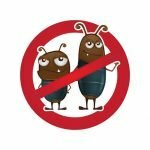 Remain pest free between the treatments you receive from your pest management services by doing simple things to reduce the chances of bugs from discovering and entering your home or place of business. Contact our team at Think Green to get the services you need for a beautiful lawn you can enjoy.